Dr. John W. Prenshaw is practicing general ophthalmology with a special interest in glaucoma and cataract surgery. 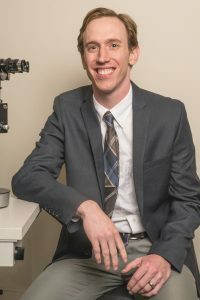 He received his bachelor’s degree in Biomedical Engineering at the University of Tennessee in Knoxville and his medical degree from the University of Tennessee Health Science Center, College of Medicine. Dr. Prenshaw completed his internship at the University of Tennessee Graduate School of Medicine in Knoxville. He completed an ophthalmology residency at the University of Virginia.